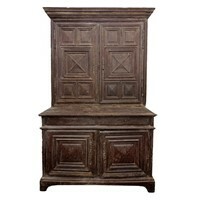 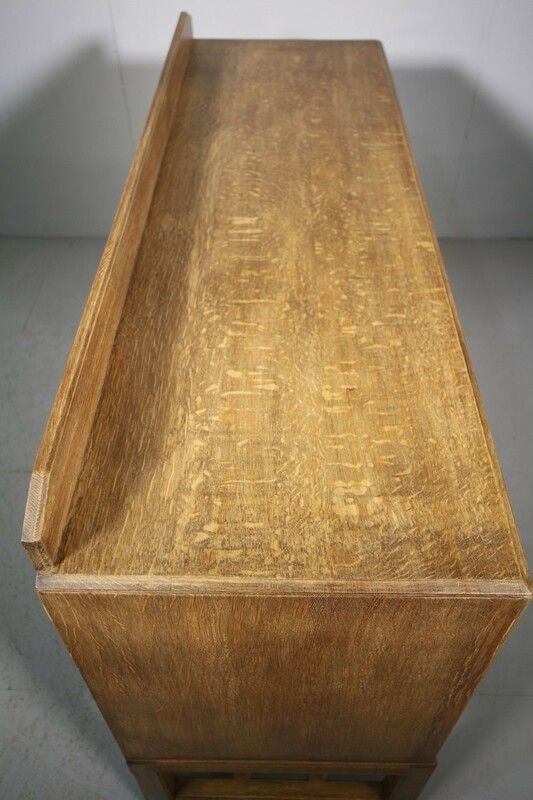 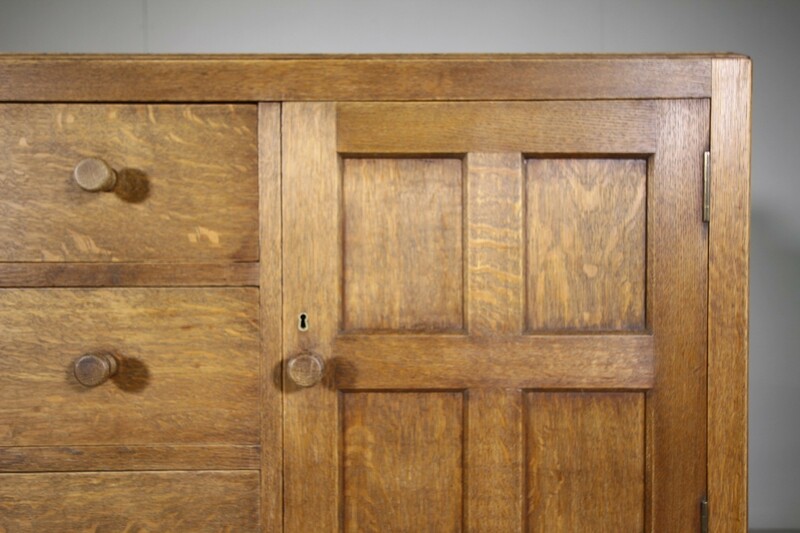 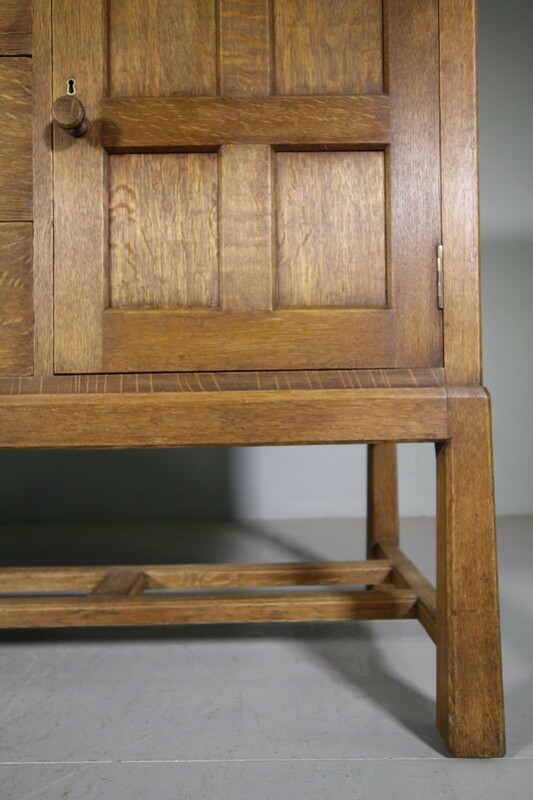 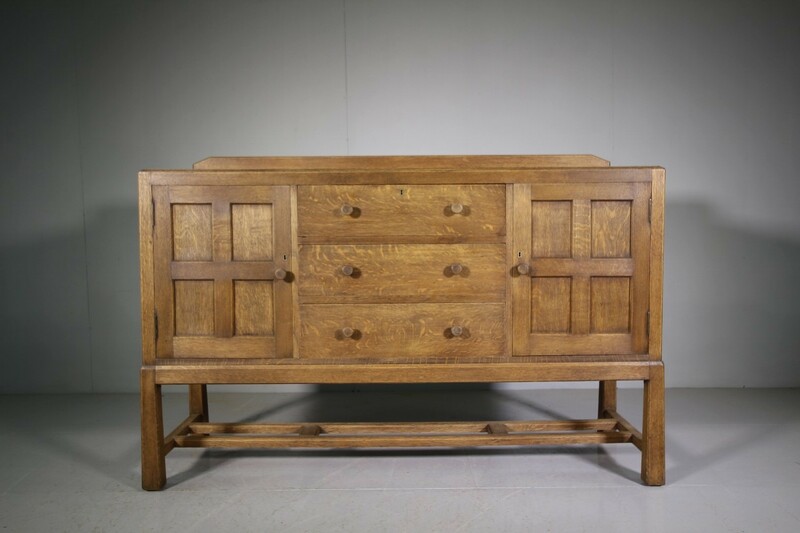 This is a lovely quality, solid English oak dresser by Heals in the twenties. 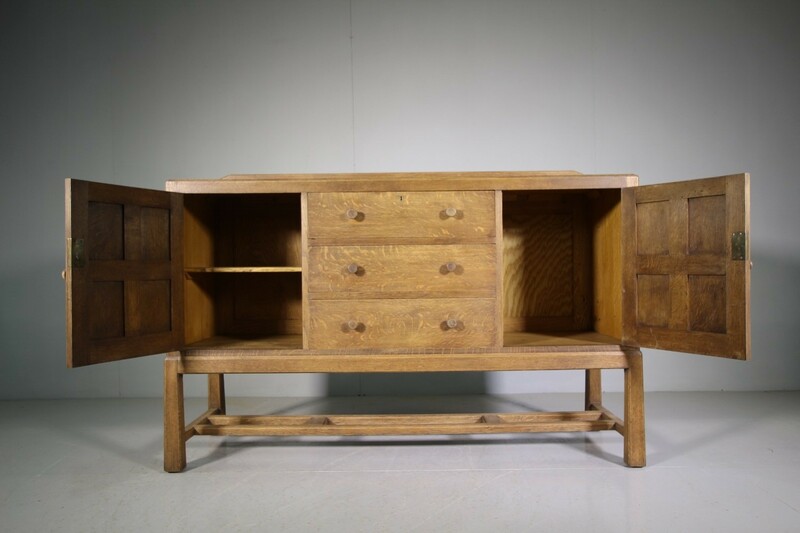 In excellent condition throughout, this Heals dresser stands on square and tapering legs that are joined by a segmented square stretcher. 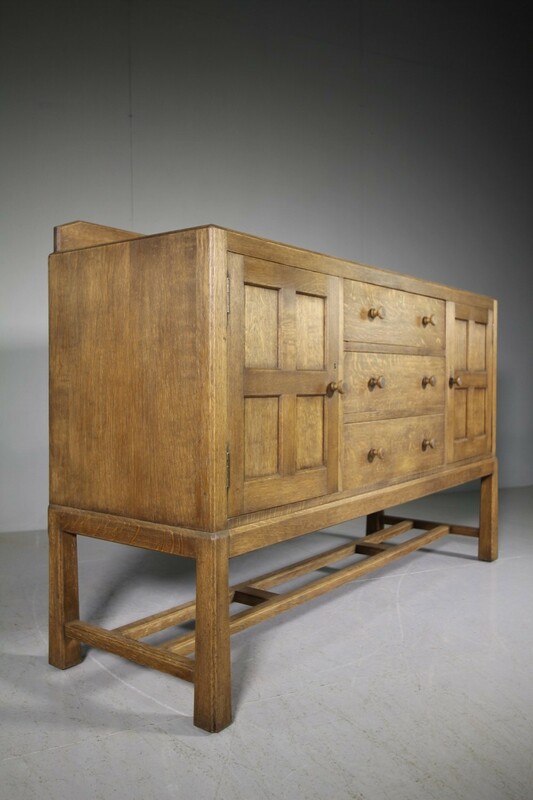 To the moulded oak top is a small, raised upstand, below are three central drawers that are flanked by twp panelled cupboard doors. 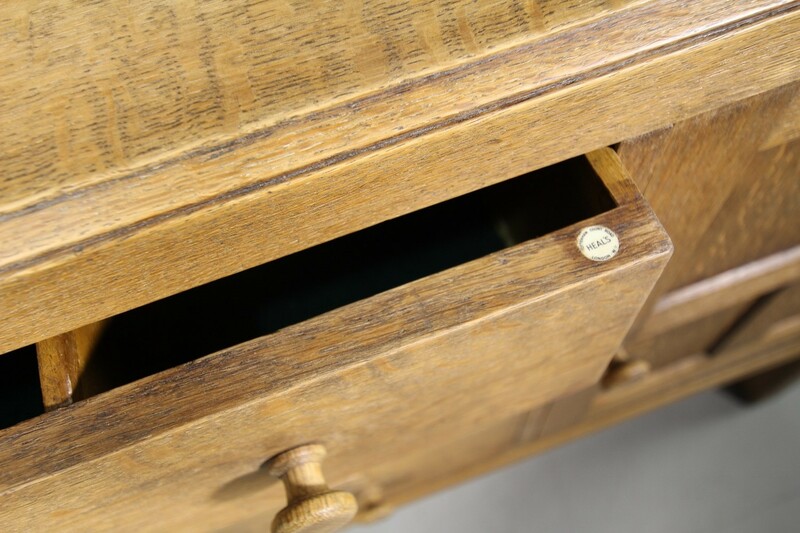 Complete with all the original handles and labeled by the maker, Heals of London in the top drawer. 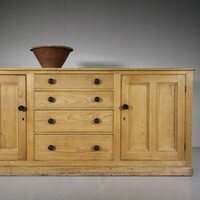 All very solid and correct, a lovely piece of Heals furniture.